In the previous posts, we established that roofs are not impervious to various factors that can cause damage. In fact, from the day it is installed, a roof is already at risk of failing – if there are faults to the roof design and installation, that is. We’ve also taken a look at the risks you could face if you fail to address roof issues. 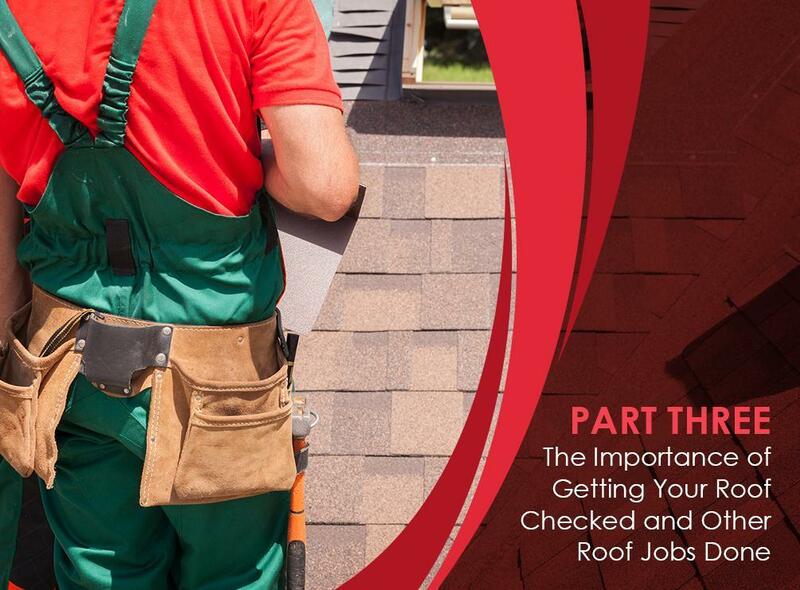 In this post, we’ll discuss more about the importance of different roofing jobs and why you should really consider them should the need arise. If issues are found during a roof inspection, the roofer will likely recommend performing roof repairs depending on the extent and severity of the damage. If you have been proactively maintaining your roof and having it inspected regularly, you can expect roof issues, if any, to be minor as well as easy and affordable to resolve. However, there are also times when urgent repairs are needed, such as when your home gets hit by a storm or any other similar weather disturbance or disaster. Regardless of the reason for needing a roof repair, one thing is for certain: never delay. Prompt action will help prevent small problems from worsening, helping maintain the integrity of your roof and extending its service life. This is the most extensive job that can be done to an existing roof. A complete tear-off and replacement could be needed if most of the roof has been damaged and proves to be beyond repair. Damage may be due to prolonged neglect and lack of roof maintenance or repairs, or because of an accident or weather-related disaster. When repairs no longer cut it, a roof replacement can be the more cost-efficient option. A new roof means a new beginning – a chance to start taking better care of your roof and your property as a whole. It also means resetting the roof’s life span. All in all, roofing jobs help enhance your home’s protection against the elements and boost its comfort, energy efficiency and overall value. But for you to reap these benefits, it is important to get the roofing jobs right, which can be done only by picking out and working with a reliable roofing company.